GOT A CPL? NEED A JOB? READ ON! Additional vacancies for Part Time or On-Call Jump Pilots are also available! 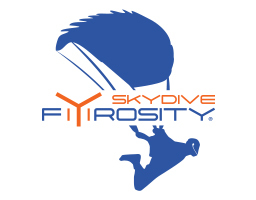 Skydive Fyrosity® is looking for jump pilots to join our team. 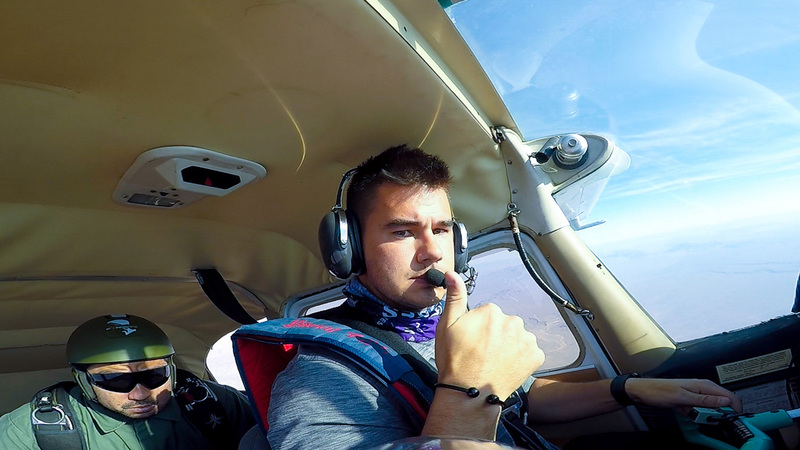 Whether you are looking to build an exciting, challenging, but rewarding career as a Jump Pilot, or to just build hours and move on as a commercial airline pilot, the Jump Pilot position is your first step forward which provides an excellent opportunity for you to build hours and gain experience fast while taking part of a fun and adventurous activity. 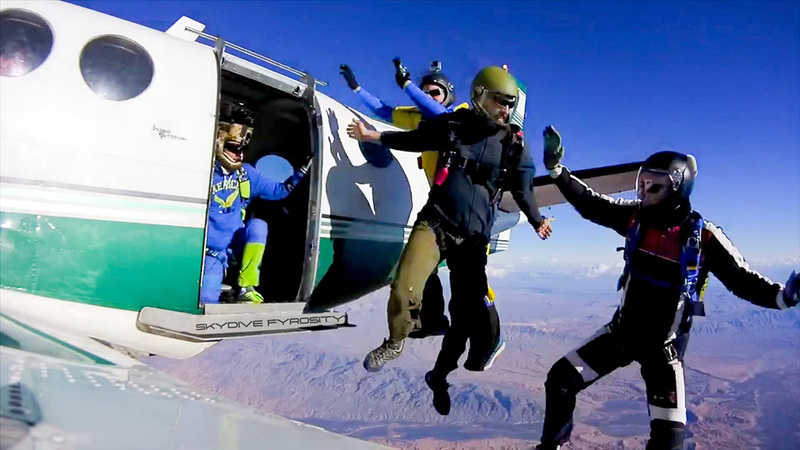 In the United States today, there are over 300 active skydiving centers and clubs. Throughout the US, these “drop zones” operate over 500 skydiving aircraft, referred to as jump planes. The Cessna 182 is the most common jump plane in use – the work horse of the industry! Well trained jump pilots are in high demand to help keep these aircraft flying and the skydivers jumping. Although it is a rewarding and challenging opportunity, flying skydivers is unusually demanding on the pilot. Having actual skydiving experience can be helpful, but is not necessary. However gaining jump pilot experience can further your career as a commercial pilot beyond your imagination. WHAT IS A JUMP PILOT? A Jump Pilot is a key team member of a skydiving operation or Drop Zone in charge of flying the skydiving aircraft. The Jump Pilot is responsible for efficiently and safely taking the skydivers from the ground to jump altitude of up to 15,000 ft (MSL depending on the jump plane flown), with a specially modified aircraft to accommodate skydiving operations. After the jumpers leave the aircraft, the Jump Pilot brings the aircraft safety back to the ground where other jumpers are already waiting to load the aircraft and go jump. One full load with a C-182 from loading, take off to landing back to the jumper loading area takes about 25 – 30 minutes. This cycle continues non-stop throughout the work day. Basically, the Jump Pilot is the elevator for skydivers. Weather Report, Winds Aloft, Spotting Assessment, Pre-Flight Inspection, Fuel and Prep – 30 min. Proper operation of the aircraft according to FAA and USPA recommendations and guidelines for skydiving operations FAR part 105, Fueling every 2 loads. The ideal pilot must be reliable, honest, on-time, hard working, high tolerance for heat and cold, great physical and mental health, enthusiastic, passionate, have his/her own reliable transportation, team player, great communicator, great positive attitude, customer oriented, fantastic customer service skills, friendly, drama free, loves aviation, has the ability and desire to commit for at least 12 months, clean cut, drugs free and SAFETY FIRST mentality. Last but not least, since we are trying to get us much useful weight up to altitude as fast as possible, no heavier than 220 lb / 100 kg. Is this you? IF YOU DO MEET THE 500 PIC / 25 HOURS IN C-182 INSURANCE REQUIREMENTS, BUT YOU DO NOT HAVE 25 JUMP FLIGHTS, DON’T WORRY – WE WILL TRAIN YOU! If you JUST got your CPL and have between 250 + flight hours, you have never flown jumpers, you do not have jump pilot training and/or do not meet the minimum listed requirements, please read further bellow, we DO have an option for you as well. 7 days a week – Days off are on bed weather days and holidays. You can expect 700 – 1000 hours per year. YOU JUST GOT YOUR FAA CPL AND YOU HAVE 250 + PIC FLIGHT HOURS, AND YOU WANT A COMMERCIAL PILOT JOB - BUT YOU CAN'T GET ONE! Well you are not the only one! Many new FAA CPL holders are in the same situation as you! You spent tens of 1000’s of dollars on your pilot training and education and now it is time for you to collect the fruits of your investment, however, you can not get a flying job because you do not have enough flight hours required by your potential employer, not enough flying experience and you do not meet the minimum insurance requirements. Welcome to Commercial Aviation! Although, Jump Pilot jobs are considered an entry level jobs in aviation the Jump Pilot job is the first step and possibly the best opportunity you have to gain experience and build flight hours fast. Because of the fun nature of the job, some pilots love it so much, they turn it into a life long career. 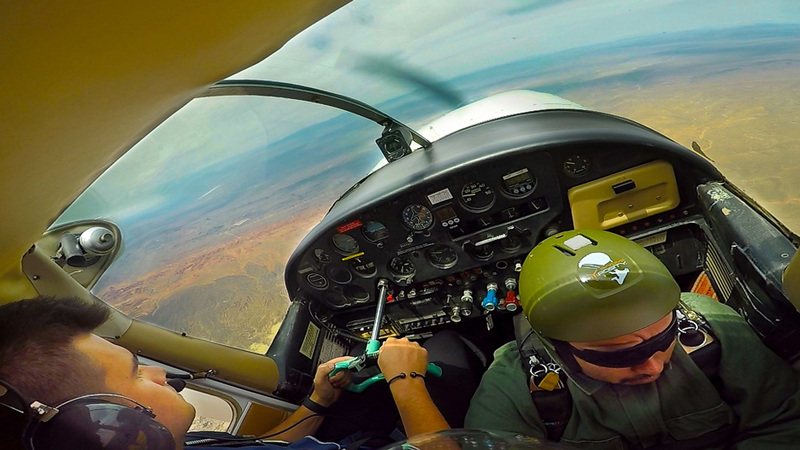 Being a Jump Pilot can be very rewarding – financially and personally. Jump Piloting, however, requires a specialty training and is not as easy as it appears to be. Therefore we have set up the Jump Pilot Academy™ at Skydive Fyrosity® to train potential new FAA CPL holders with 250 + hours who are looking to jump start their careers. 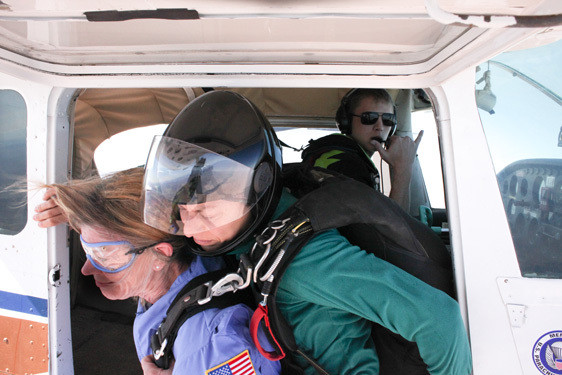 Once the Jump Pilot Training is complete and the required jump pilot flight hours are flown, the candidate becomes employable by 300 + skydiving operations in the United States. If this is you, Book your training now!